The bottom line is that if your commercial business ever encounters water damage, it’s important to get it resolved quickly and correctly. Failure to do so can have dire consequences for your business. For office managers or building owners residing in Washington DC, this post will take a closer look at the causes, consequences and need to have water removed and property restored quickly for your building. The best way to prevent water damage from occurring is simply to practice good building maintenance. Conduct regular roof inspections so that any issues can be corrected before they become big problems, seal any cracks in the foundation, and give your plumbing system regular checkups to ensure it’s working without issue. While being proactive is hardly a surefire way to prevent unwanted water from entering your property, just sticking to a routine maintenance plan can help to greatly minimize risk. Category 1: This is generally clean water that poses little health threat (i.e., water from overflowed sinks). Category 2: This is water that may pose some health risks (i.e., water from sump pumps, toilets, etc.). Category 3: This is the most dangerous category of floodwater, and is almost certain to contain harmful bacteria. Sewage backups or once-clean water that has since been contaminated are examples of Category 3 water. 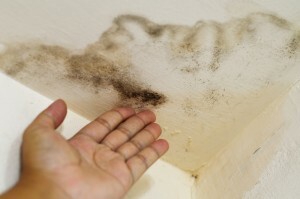 The other two big risks associated with water damage are structural integrity and mold growth. Water damage can take a toll on a building, weakening its structure — especially if it is left unattended. What’s more, unattended water damage almost always leads to subsequent mold growth, which can lead to a whole different set of health issues. In fact, mold can begin to grow within 24-48 hours when the conditions are right, making it all the more important to address water damage issues promptly. While many people assume they can handle water damage restoration on their own, such a job should always be left to the trained, certified professionals — but just how does water damage get fixed in Washington DC? A good, credible restoration contractor will enter the property, remove the water and begin the restoration work. This will consist of removing drywall and other porous materials and items that have been damaged. Nonporous items and materials can usually be salvaged. A restoration professional will also work to fully dry the property using air movers, dehumidifiers and, in some cases, heating units and specialty drying equipment. Following drying, the contractor will apply chemicals to ensure that no subsequent mold growth occurs on applicable projects. Perhaps the best reason to have professionals handle your business’s water loss, however, is that they’ll respond quickly and complete the job as efficiently as possible, resulting in minimal business interruption. For more information, contact Premiere Works today.